You choose the river...You choose your companions... And we make it happen! We specialize in putting together custom, charter, luxury camping, and private trips on our regularly run rivers, on rarely rafted rivers, and on combinations of rivers – it is one of our passions. Close to half of our trips are private or chartered and we have crafted custom itineraries and catered to unique needs and interests on all of our rivers and destinations. And we make it happen! Each of our trips can serve as the ideal corporate retreat, family reunion, private family trip, adventurous wedding, bachelor or bachelorette party trip, private adventure party, or club excursion. And they guarantee a level of intimacy between everyone on the trip and can be tailored to a group’s specific needs and wants. Part of the reason we run so many trips like this is that we make it easy to plan and put a group together. Depending on the river we offer trips with groups as small as 2 people to larger then 24. Trips can be fancy and custom or as simple as having a private trip on one of our standard (amazing!) itineraries. We also have a handy group organizer tool that makes it easy for group organizers to invite people and leaves all the payment collecting to us. For a private launch on most itineraries the price is set to the 10 person price for a group of 2 to 10 people. So you only need a group of 10 people to have everyone pay the trips normal group discount price, or you can go down to as few as 2 people at the set price. Custom itineraries and Safari style trip pricing depends on what you want, but there are very few limits! Give us a call or drop us an email and we can create a private trip with your specific ideas in mind, help you figure out logistics, travel, or even just help you decide where to go. We have one of the most experienced guide staff’s in the country and there are very few needs and interests that we can’t figure out. 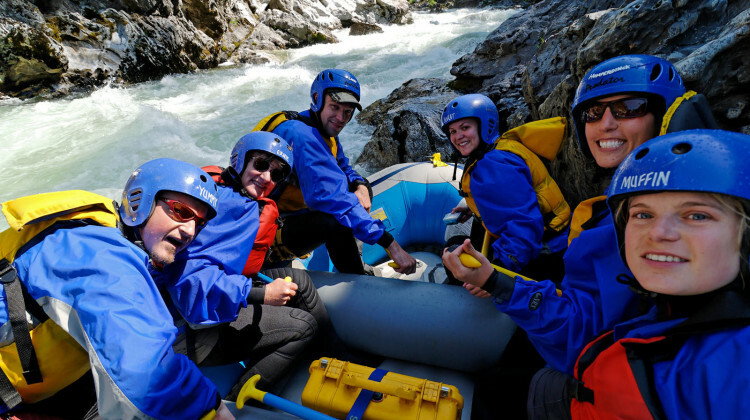 Private rafting trips with family or friends on one of our standard itineraries are our most popular style of charter trips. You just choose a river, find a date, and we help you get your group together. We make it easy. Active, off the beaten path, one-of-a-kind custom Adventure Travel Itineraries. Class V, back of beyond remoteness, expedition style, small craft, multi-sport, challenging logistics – all trips for the adventurous spirit! We love creating custom high adventure itineraries for groups. 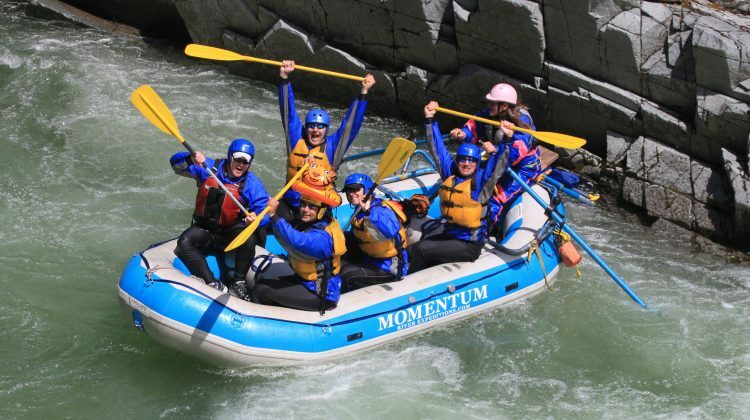 Each of our river trips can become a unique private bachelorette or bachelor party, family reunion, birthday, adventurous wedding, or anniversary. You just choose a river, find a date, and we help customize the trip to fit the occasion. The options can range from a half day on the water to 9-day wilderness adventures. 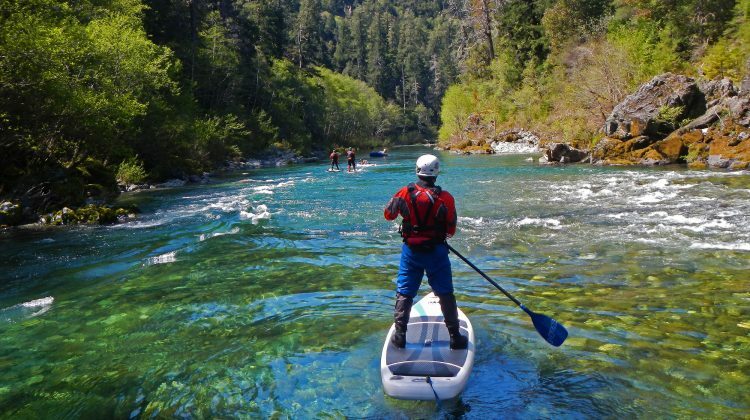 Luxury River Rafting Trips - Wilderness and comfort combined (think ‘Glamping’). 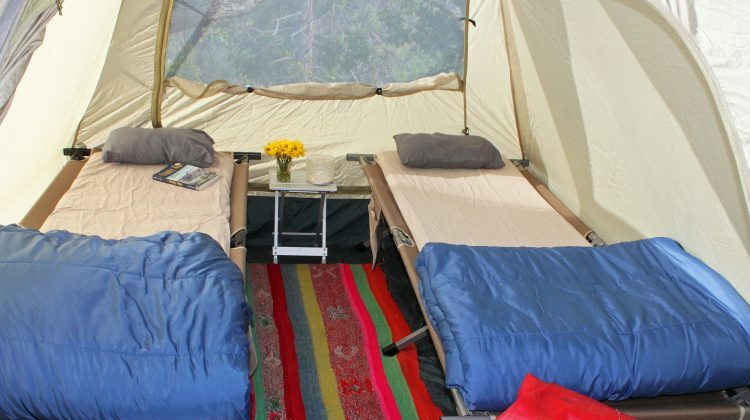 Show up to fully set up camps pitched in beautiful back-of-beyond wilderness with options for walk in tents with cots, family style dining under the stars, three course dinners, wine tasting - there are very few limits! No set up, no take down, just enjoy these wild areas with more time to explore and with some of the creature comforts of home.